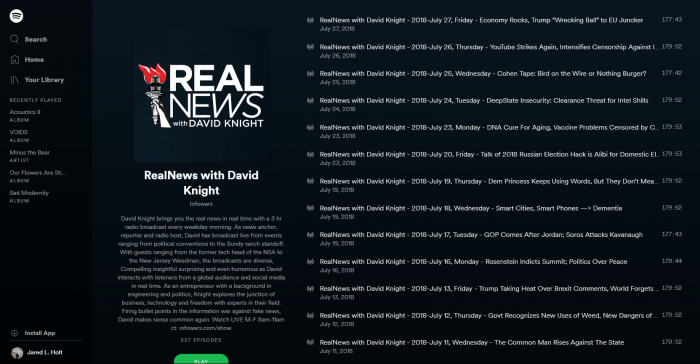 In addition, Spotify users can also find Infowars’ “RealNews with David Knight,” “War Room” and a program called “Infowars.com Freedom Nuggets,” which are one-minute Infowars dispatches formatted to be plugged into other radio programs. 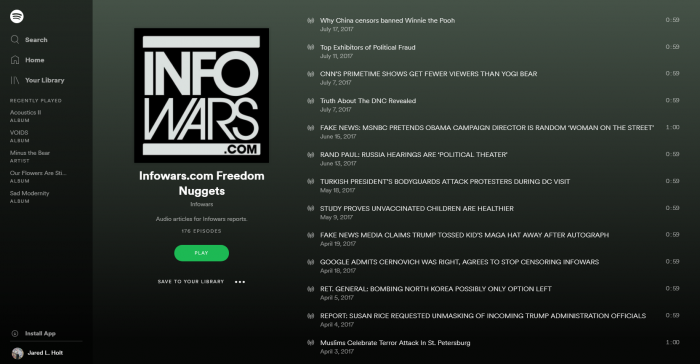 As a result, numerous Spotify users have threatened to leave the platform unless Infowars content is removed. 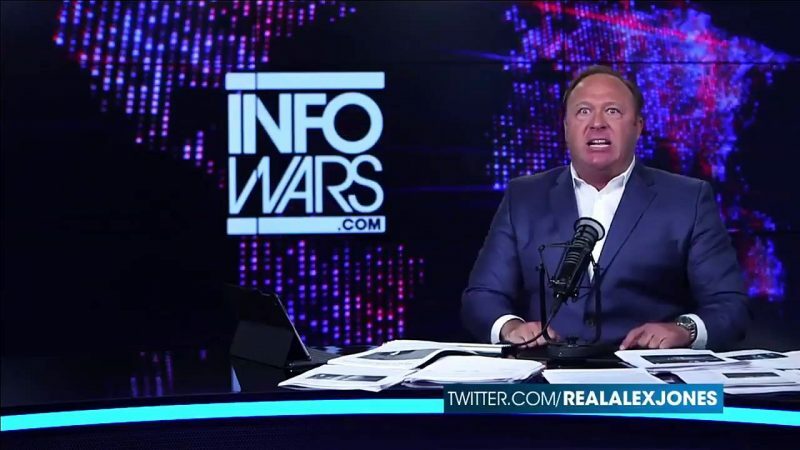 Despite the fact that Jones and his staff have grossly violated Spotify’s rules in public and obvious ways, the streaming platform continues to host Infowars content. 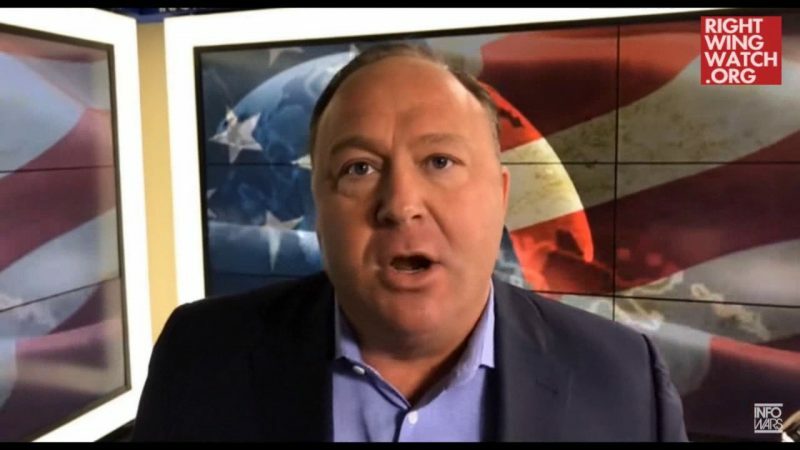 On-air conduct by Jones and his staff has prompted lawsuits and provoked suspensions on Facebook and YouTube. 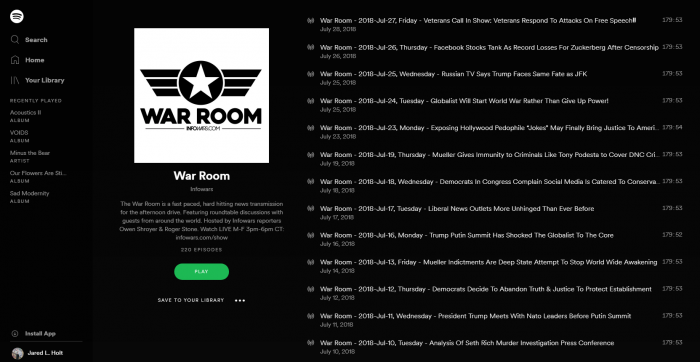 Right Wing Watch has reached out to Spotify for comment on its decision to host Infowars content but did not receive a response before publication. We will update this article if Spotify responds to our inquiry. 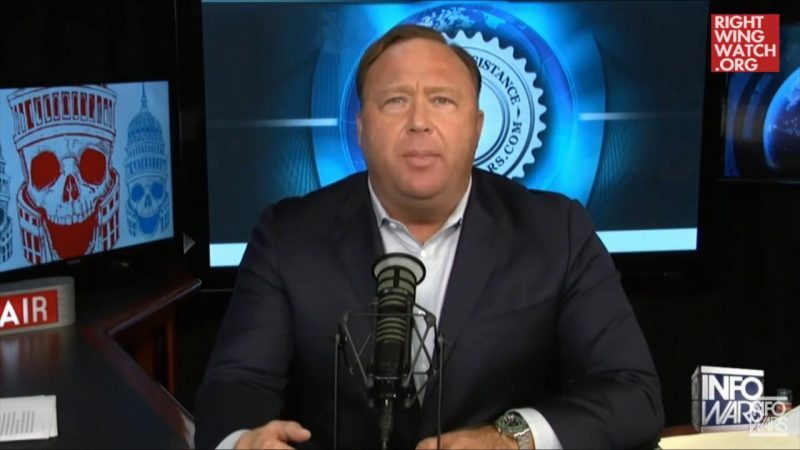 These examples are in addition to the numerous vitriolic conspiracy theories that Jones uses his platform to spread daily, not to mention how Infowars has a national reputation for declaring nearly every national tragedy a “false flag” hoax, inflicting emotional distress on the loved ones of people killed in those tragedies. 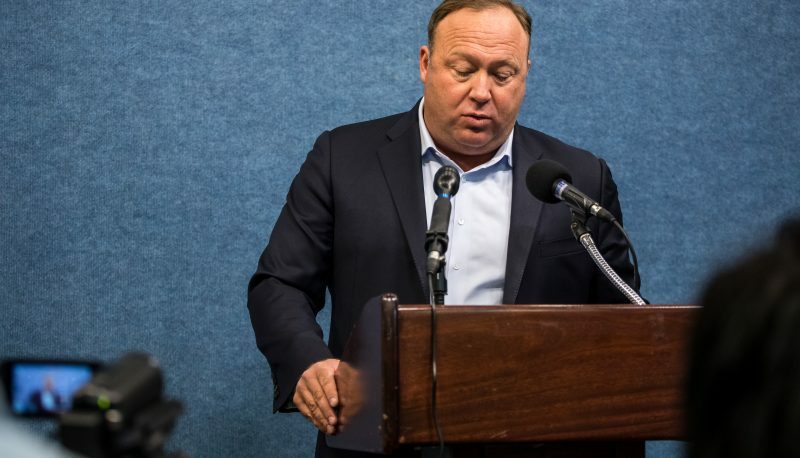 On air today, Jones expressed his outrage at the fact that numerous news articles have been spawned since we noticed Infowars podcasts on Spotify this morning. 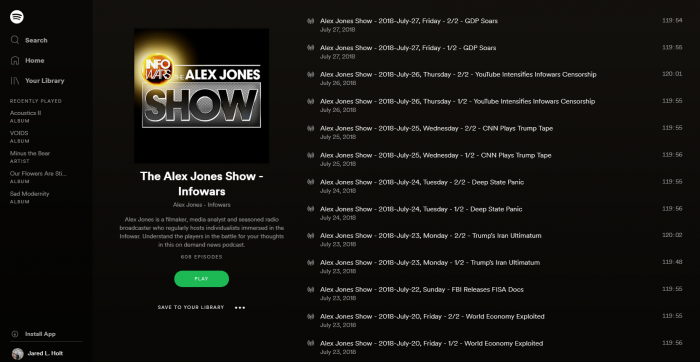 Infowars podcasts are also hosted on Apple’s iTunes.